In developing countries, access to clean and safe drinking water changes entire communities. It saves lives. Children are able to attend school because they are not sick from water-borne illness or spending hours each day fetching water. Women receive innumerable hours back each week, allowing them to care for their children and even contribute to the family’s income as a merchant. A safe water source is a critical component in the battle against hunger, as it allows communities to care for their livestock and crops. It also decreases the vulnerability of the community, helping to protect from the risk of human trafficking and keeps kids with their families by enabling parents to meet their children’s needs. 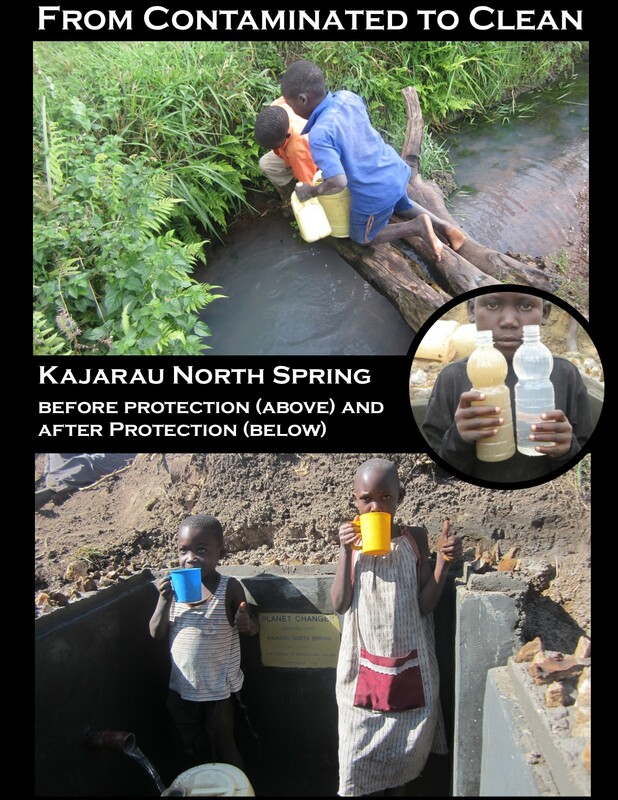 Planet Changer is eliminating thirst by investing in clean water through spring protection projects. View completed Spring Protection Projects here.